Automatic scaling protects your app from going down when your traffic increases unexpectedly. By scaling down during times of low traffic, you can save money. Since scaling is automatic, you can spend more time at the beach. Our interface works on most mobile devices. 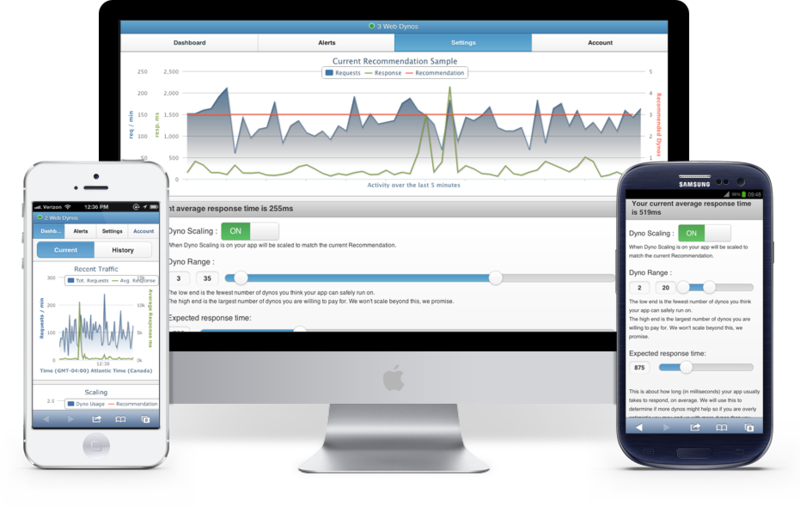 Our charts let you understand your traffic and how to scale your app. 2013 © AdeptScale. All Rights Reserved.